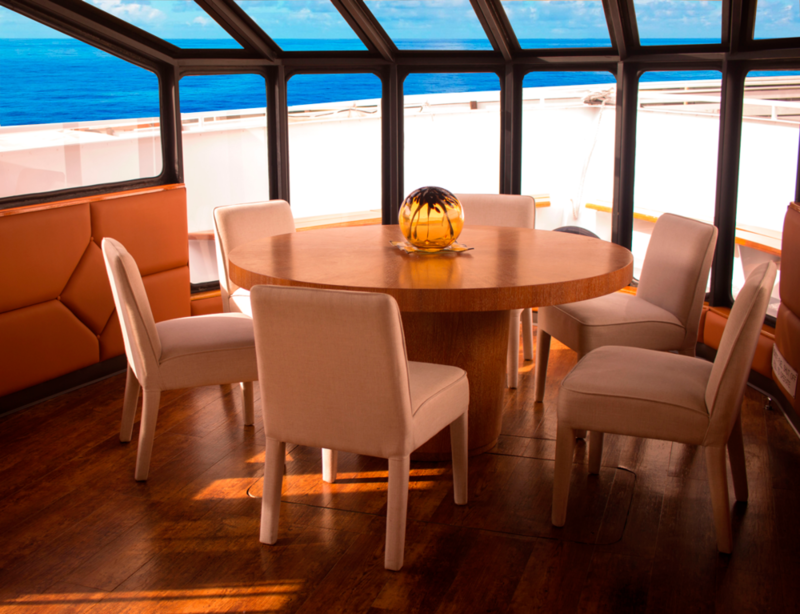 Two Lunch Cruise Times Available: Early Lunch (11am-1pm) or Late Lunch (1:30-3:30), call for additional hours. ALL INCLUSIVE for $85/pp: No hidden fees! Includes service charge, tax, docking/port fees, captain + crew. Does not include city tax which is an additional $1.75/Guest city fee. Bite into tender strips of beef + mushrooms, cooked in creamy sauce, rounded out with sour crème. Served over egg noodles. Savor a bouquet of spices and flavors including ginger, cinnamon and even almonds, set on a bedding of Israeli cous cous. The Chef's favorite, enjoy sautéed shrimp with garlic and butter with a splash of white wine. Presented on a bed of penne pasta. 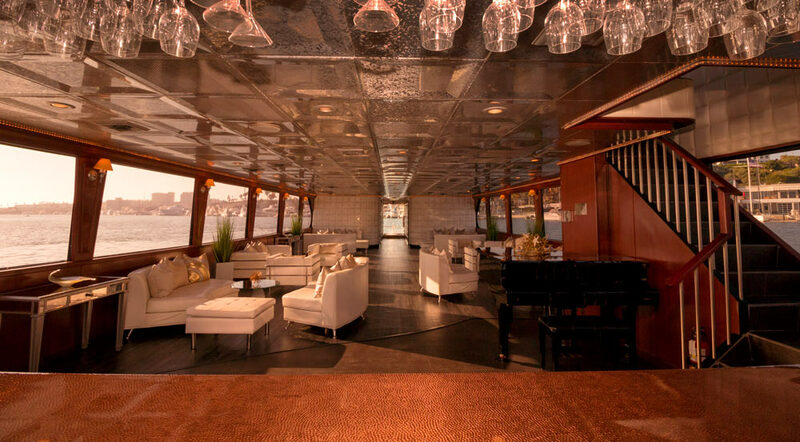 Indulge in an elegantly handcrafted interior, state-of-the-art design, decadent amenities, a baby grand piano and 3 spacious decks including a 52' x 22' panoramic observation deck. 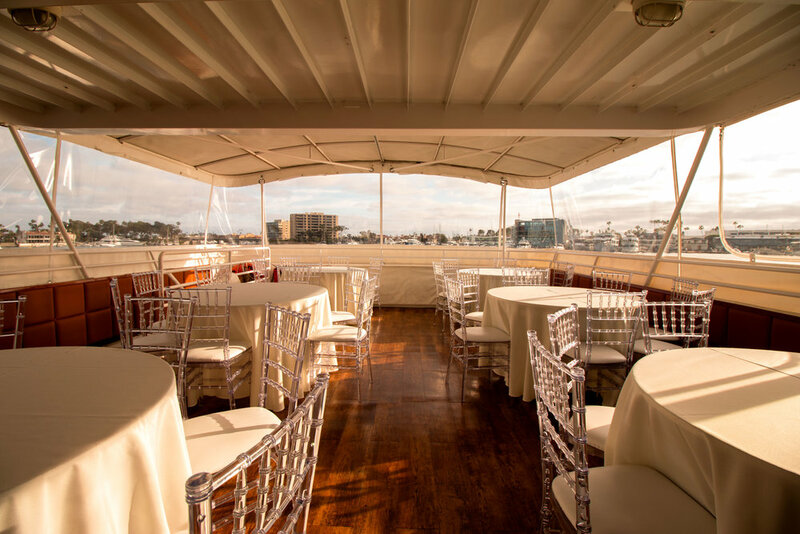 Comfortably seats up to 120 Guests or 150 for receptions, with a 50 Guest minimum for Luncheon Cruises. Revel in an elegantly appointed salon, which includes a baby grand piano, fully-appointed bar, classically upholstered sofas, panoramic views, state-of-the-art sound system and more. 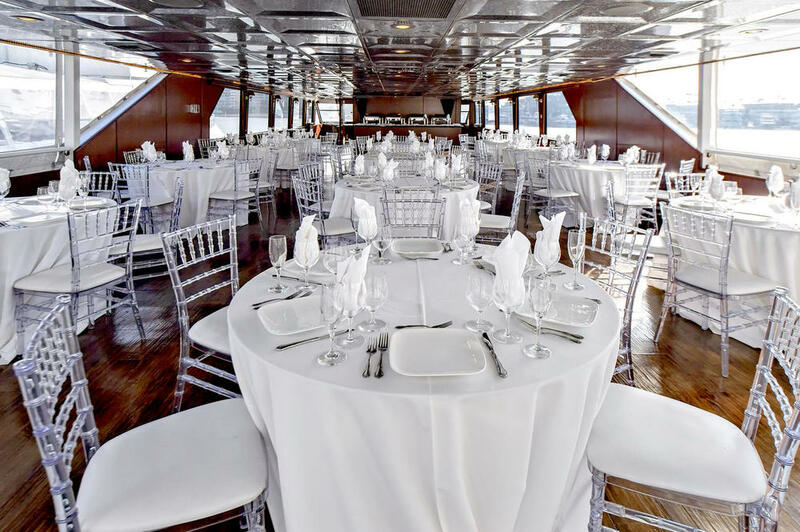 Comfortably seats 120 Guests, 149 for receptions with a 30 Guest minimum for Luncheon Cruises.